The road connecting Meerut to Delhi is the busiest highway in the region, Union minister Nitin Gadkari said minutes before the prime minister spoke. The expressway will do away with 31 traffic signals on the road and make it “signal free”, reducing travel time between Meerut and Delhi from two and a half hours to around 40 minutes, he said. “This highway will show the path to tackle pollution,” PM Modi said. Delhi is the most polluted capital in the world. “In the changing times, pace will not slacken. It will only get faster,” he said. Mr Modi said his government will take forward the programmes started by the Atal Vajpayee government. “Vajpayeeji had two projects – the Golden quadrilateral connecting four corners of the country and he started a programme to give connectivity to villages,” he said referring to the Prime Minister Rural Roads Programme. NEW DELHI: The construction work on the Rs 5,763-crore eastern peripheral expressway has begun as the government has set a deadline of 400 days to complete the project, which will help in decongesting the traffic in the national capital. The commencement of work followed after Union Road Transport and Highways Minister Nitin Gadkari earlier this month set a deadline of 400 days to complete the project. NEW DELHI: Cabinet today approved the construction of first phase of the Metro Rail Project in Lucknow at an estimated cost of Rs 6,928 crore. Chaired by Prime Minister Narendra Modi, the Cabinet approved the Lucknow Metro Rail Project Phase – 1A covering 22.878 km distance between Chowdhary Charan Singh Airport and Munshi Pulia with 22 stations. The cost of the project will be Rs 6,928 crore which will be supported by the Centre with Rs 1,300 crore in the form of equity and subordinate debt, according to a release. The project will be implemented by Lucknow Metro Rail Corporation (LMRC) which will be reconstituted into a 50:50 jointly owned company of the Centre and Uttar Pradesh government. Out of the total route length of 22.878 km, elevated route will be 19.438 km while underground route length will be 3.440 km with total 19 elevated and three underground metro stations. The metro train will ply between Chowdhary Charan Singh Airport and Munshi Pulia. The project will come under the legal framework of the Metro Railways (Construction of Works) Act, 1978; the Metro Railways (Operation and Maintenance) Act, 2002; and the Railways Act, 1989, as amended from time to time. Uttar Pradesh government is pushing for its flagship Agra-Lucknow Expressway to be operational by October 2016. 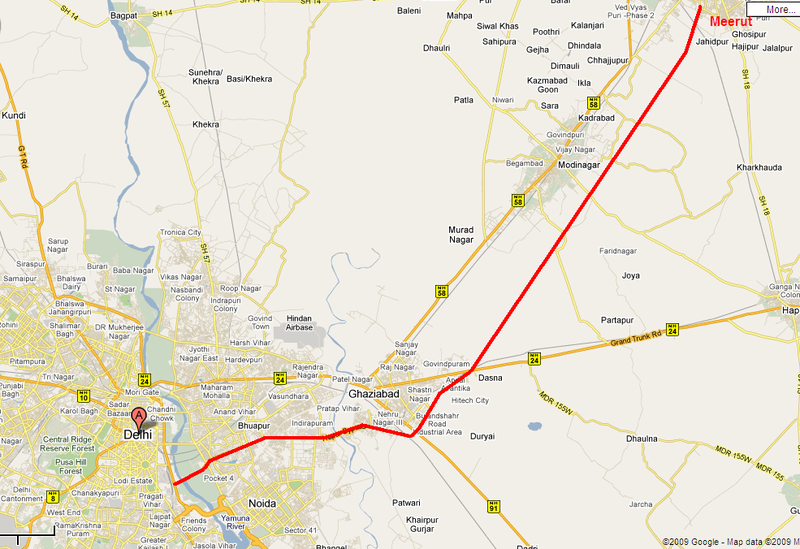 The proposed 302 km expressway is estimated to cost nearly Rs 15,000 crore. The contract for the mega project has already been awarded to private developers after dividing it into five packages and the work is on. 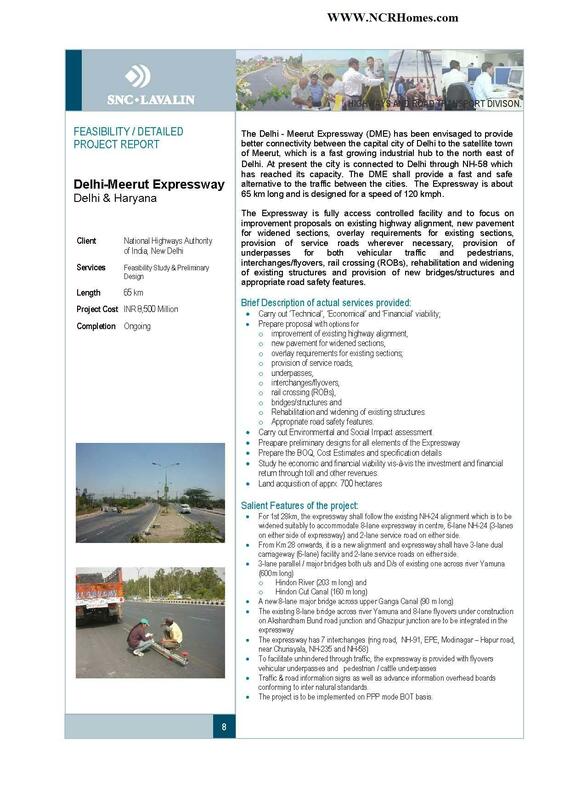 It is touted to be the longest access-controlled expressway in India to be funded entirely from the state coffers. It spans 10 districts, which would be intersected by it, namely Agra, Firozabad, Mainpuri, Etawah, Auraiya, Kannauj, Kanpur City, Unnao, Hardoi and Lucknow. It is a pet project of chief minister Akhilesh Yadav, who is keenly pursuing it along with other flagship projects also underway such as IT City, Lucknow and Lucknow Metro Rail. In a review meeting here today, UP chief secretary Alok Ranjan directed officials that the package-wise review be held on monthly basis, so that the expressway meets its project timelines and is operational by October 31, 2016. The state has planned to develop agricultural ‘mandis’ along the expressway to spur the economy by providing faster transport to agricultural produce, handicrafts, small industries etc. This region is known for high dairy, potato, fruits and food grain production. Meanwhile, Ranjan also reviewed other projects, including Centralised Mega Call Centre, IT City and Trans-Ganga projects in the meeting of Project Monitoring Group. Ranjan expressed displeasure over the slow pace of work on IT City. He said the project should be functional by October 2016 under all circumstances. He directed the state environment department to issue No-objection Certificate (NoC) within a week. GHAZIABAD: Travel time between NH-24 and NH-58 will be cut down, as the 3.6-km New Link Road between the two highways will open to public in January 2016. Work is already underway on a railway overbridge (ROB), which is a part of the project. While the ROB construction work has been undertaken by Railways, the remainder of the project work is being carried out by the Ghaziabad Development Authority (GDA). The link road cuts from the left of NH-24, near the Ganga Water Treatment Plant in Pratap Vihar, around 16kms from the zero-point at Nizamuddin in Delhi, to touch NH-58 near the Meerut T-point. A kilometre-long stretch of the road is elevated, which includes the ROB and the approach roads to it, while the remainder is at the ground level. The road is a six-lane carriageway with a width of 24m.